Glasgow Mid Argyll were formed in 1928 when Blawarthill Argyll changed their name on moving from Scotstoun in Glasgow to Whiteinch. 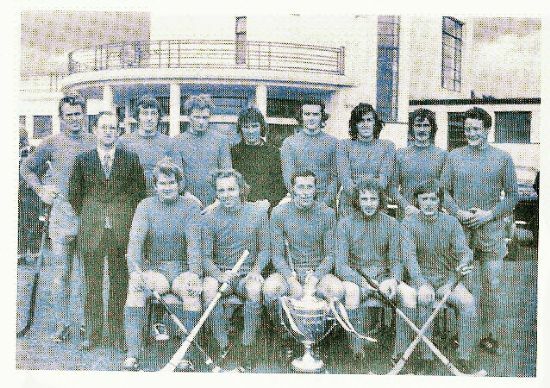 GMA's finest moment came in 1973 when it won the Camanachd Cup, defeating Kingussie 4-2 at Claggan Park, Fort William. Back Row: Kenny MacNiven, Fred Robertson (Trainer), Rab MacMillan, Allan Keatings, John Duncan, David MacLaughlan, Iain Fraser, Lyn Duncan, Alastair Forbes. Front Row: David MacCallum, John MacFarlane, Iain MacMillan (capt), Donald MacFarlane, Alan Crawford.